Marianne Williamson is on a mission to get the money out of our politics. Marianne Williamson will champion women’s rights. 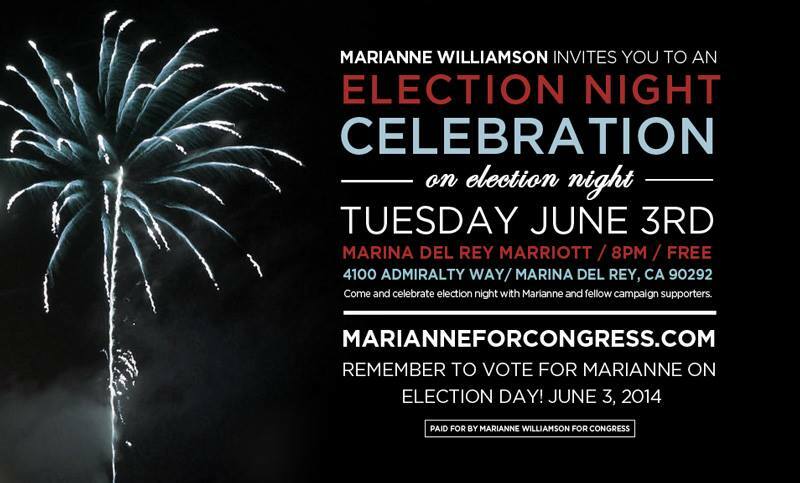 Marianne Williamson is committed to reclaiming democracy. Marianne Williamson wants every American to have access to the highest quality education. Marianne Williamson will be a passionate voice for the eradication of child poverty. Marianne Williamson will be a passionate voice against the scourge of mass incarceration. The NSA is watching you. Marianne Williamson wants to dismantle the NSA. Our food supply is being corrupted. Marianne Williamson wants it stopped. Marianne Williamson will work to ensure that we as a nation strategize peace as effectively as we strategize war. The most progressive Democrats in Congress want Marianne Williamson with them in Washington. Shift from greenhouse gas-emitting fossil fuels to energy efficiency and renewable energy sources like solar, algae, and geothermal.